Don’t hate me for the headline. The 2013 Ford Fusion has quite the list of selling points on its side but there’s one thing in particular that stands out. It’s not the design and it’s not the various color and wheel options you’re going to have. It’s actually related to something quite boring. As all tendencies point at the moment, fuel economy and low emissions is where it matters. This is why the star option of the 2013 Fusion is the start-stop system. Once again, it’s not obvious why. Start-stop technology has been with us for several years now. It’s been in both bigger and smaller cars as well. What makes it special is that in the Ford Fusion this overly praised gizmo is an optional extra which costs a mere $295. That is remarkable. 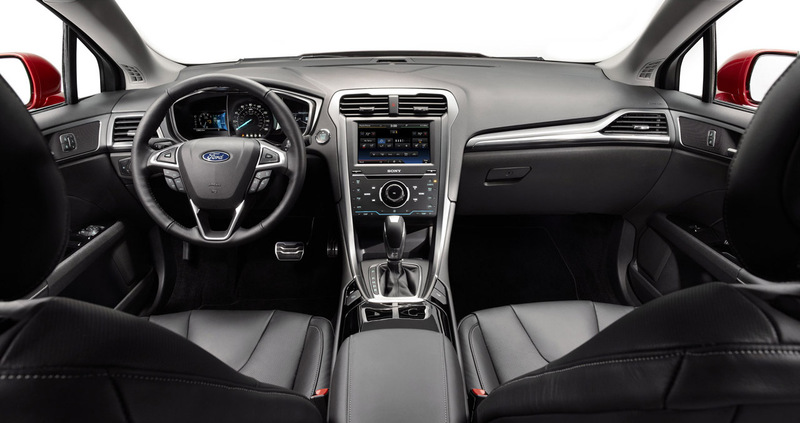 It’s also remarkable to mention that the 2013 Ford Fusion is also the best looking sedan ever to be equipped with such a system. Once the misty eyes fade away we remember all other important points of the 2013 Ford Fusion (Mondeo to some) and one niggle about the whole affair. Yes the start-stop system is interesting, particularly in the pricing department but it’s restricted. You can only have a start-stop if you go for the 1.6 liter EcoBoost engine. The bigger 2.0 liter EcoBoost and 2.5 liter five cylinder will not join the party, regardless of price. That’s a bit of a disappointment but it’s only something to look forward to in Ford’s upcoming revisions of the smaller cars such as the Fiesta and Ka.